Stef Driessen is specialist in the Leisure, Travel & Hospitality industry. 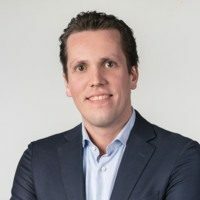 He works at ABN AMRO, were a team of 80 men & women is dedicated in serving and financing (outperforming) companies in these innovative and meaningful sectors. For more information about his public research, please go to: www.abnamro.nl/leisure Stef previously worked in the supply chain of Heineken in Africa. In addition, he was a Financial Restructuring & Recovery Manager and Team Leader in ABN AMRO’s Commercial Bank.